A brand name that was started to compete in the OEM computer hardware market, ASRock has since come a long way from it’s birth in 2002. From being a DIY budget cost performance brand to one that is able to compete with the big boys in the enthusiast arena, ASRock has now become a common name found on many computer hardware forums. With the release of the new Intel Z77 chipsets for the upcoming Ivy Bridge CPUs, many motherboard makers including ASRock have been busy designing and updating their range to include this. 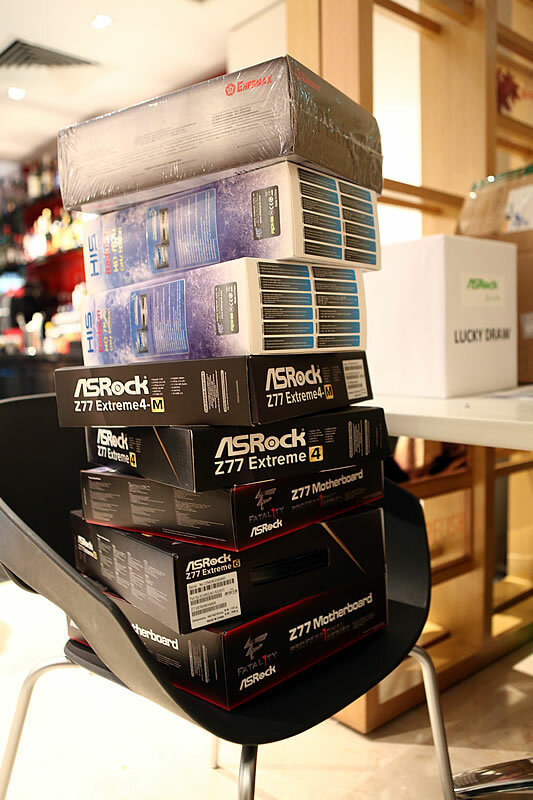 The result of this is 15 new motherboards from ASRock and as a bonus to fans to say thank you, a special world tour has been organised. 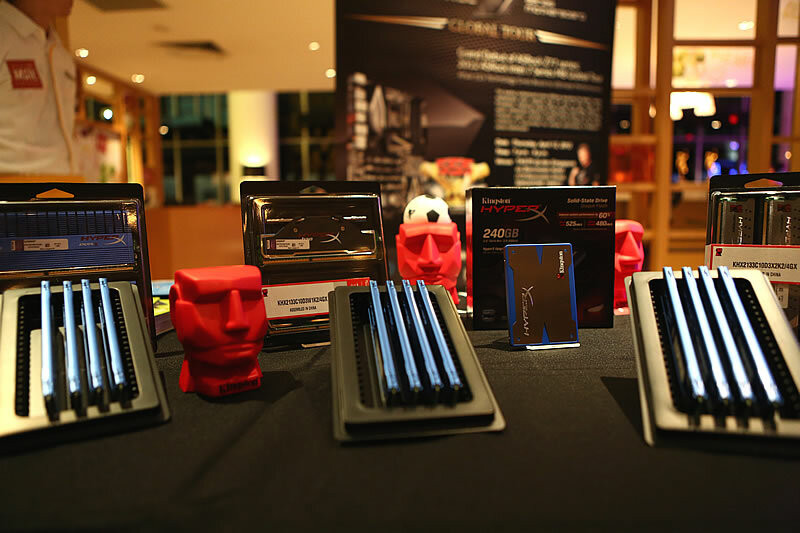 The Singapore leg of the ASRock world tour was held on a cool Thursday night at the Taste Restaurant at the IBIS Hotel which is conveniently located near Sim Lim Square, a popular place among the DIYers. 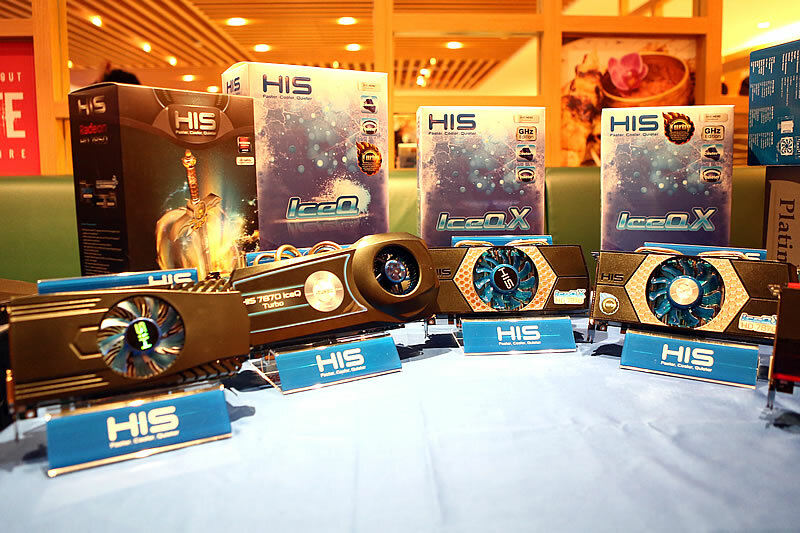 The first thing that most of the attendees would notice is what looks to be the full set of Z77 and X79 motherboards on display. This allowed everyone to get a closer look at the motherboards and also to help potential buyers decide on which motherboard would best suit their needs. Attendees were also given a chance to take a look at products from partner brands at the event. 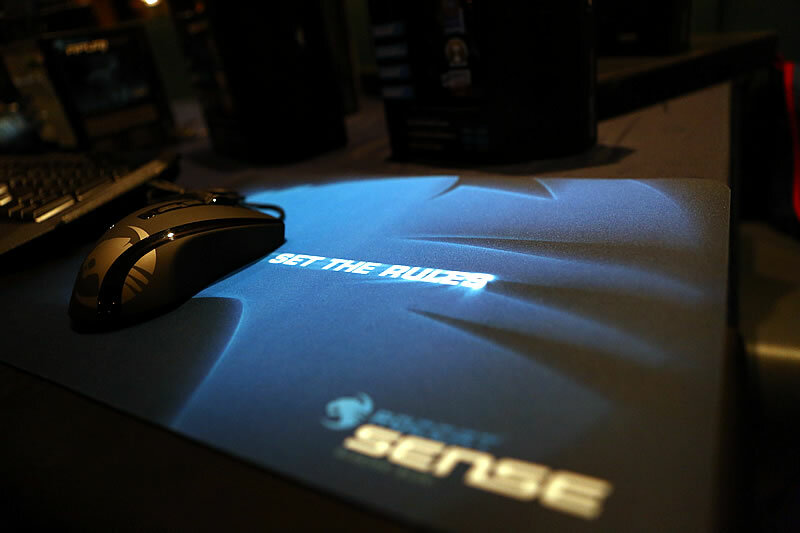 This included HIS Graphic Cards and their range of AMD’s latest 7000 series cards, professional gaming hardware and accessories brand ROCCAT, computer memory specialist Kingston and power supply brand Enermax. 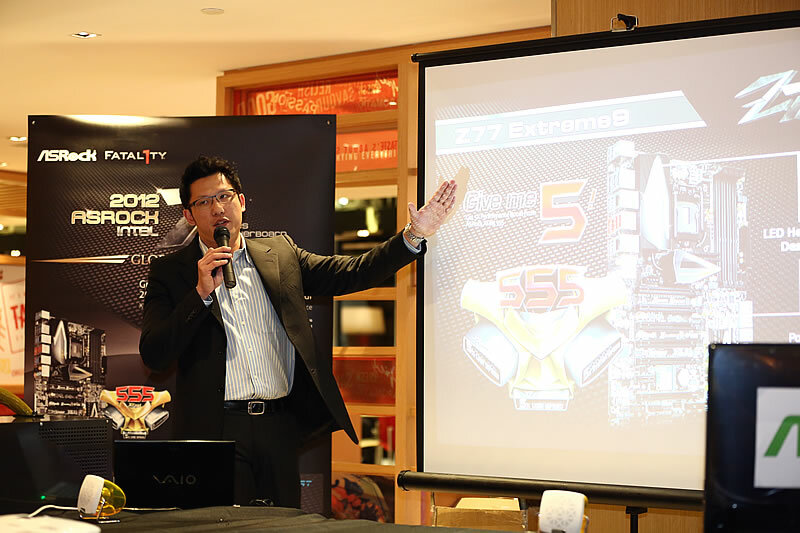 Mr Chris Lee, Marketing Director of ASRock then gave a presentation to everyone on the company’s ASRock Z77 series motherboards. This included explaining what the XFast 555 Technology (XFast RAM / XFast LAN / XFast USB) is and also demo videos on how it can help improve the users everyday experience. As a token of appreciation to every who turned up, a lucky draw with very attractive prizes was held at the end of the event. 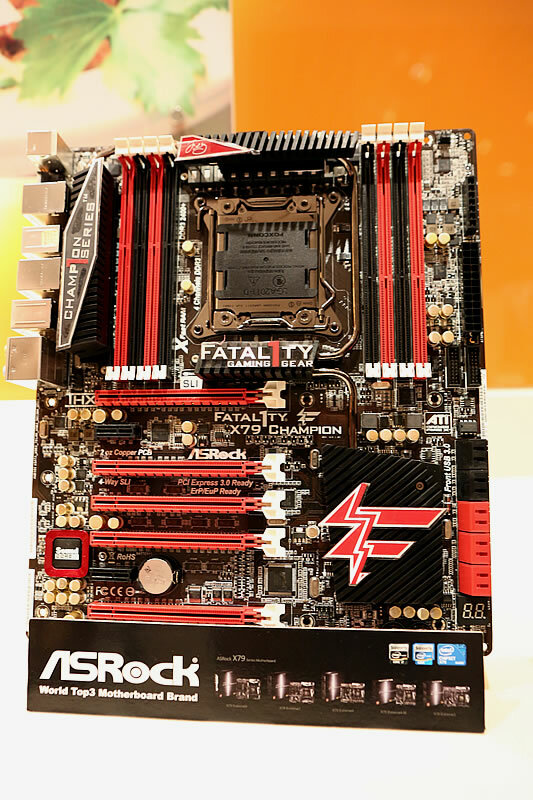 With the top prize being the ASRock Fatal1ty Z77 Professional, it was no surprise everyone was all looking forward to it. It was also a nice touch and kind of fitting to have special guest Jonathan “Fatal1ty” Wendel draw and give out the top prize since it has his gaming nick on it. Overall the event has been quite an informative and enjoyable one. It is always nice to see brands giving something back to its supporters and looking at the prizes, ASRock has definitely been very generous about it. I am sure everyone including myself will be looking forward to the next one.